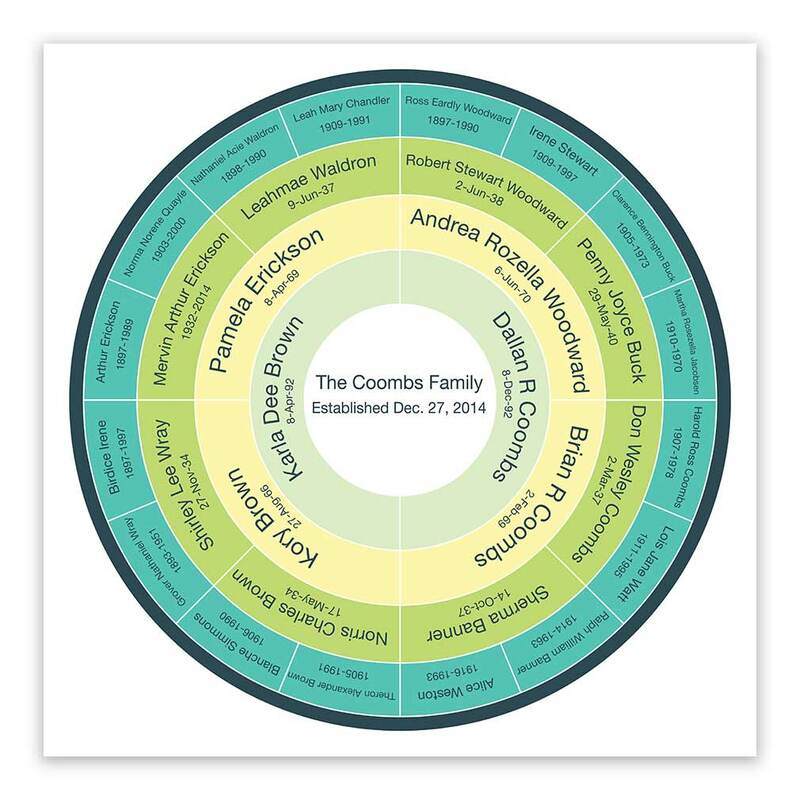 This exclusive LDSBookstore.com Custom Genealogy Chart is a perfect home decor item, wedding gift, anniversary gift, and more! Select from 4 or 5 generation charts, and many colors. You will be sent a spreadsheet to fill out with your family names and dates. We will then use that spreadsheet to make and print your custom genealogy chart! Select yours today! This 24 x 24 inch banner comes as a coated matte finish print on 35lb heavyweight paper. Your chart will not be printed and shipped until you have filled out the emailed spreadsheet and followed the instructions completely.